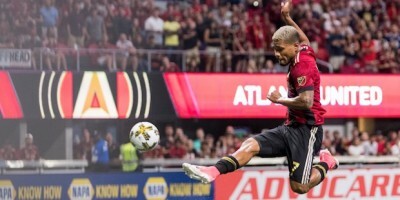 Another shutout victory over the Montreal Impact puts Atlanta United third in the MLS Eastern Conference. They remain three points (with a game in hand) behind second-place NYCFC, which will go up against Montreal on Wednesday night. Atlanta will take on the Philadelphia Union at home, hoping to remain undefeated in the new Mercedes-Benz Stadium. The last time these teams met, a score of 2-2 resulted in a draw, but United will be reaching for a clear win tomorrow in order to draw even with NYCFC. The Union currently sit in ninth position in the Eastern Conference standings with a record of 9-12-9. United currently has a record of 14-7-8 due to their continued success over their recent matches, not losing a game since their Aug. 23 game against D.C. United. 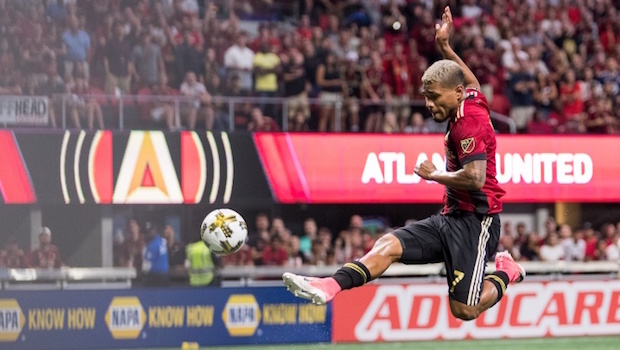 The Philadelphia Union haven’t won a game since Aug. 5 and will need to step up their offensive approach while facing off against Atlanta, which has allowed the third-fewest goals scored this season at 35. C.J. Sapong has solidified himself as the Union’s most dangerous weapon. He leads the team with 14 goals, a number that only 11 other MLS players have reached this year. He’ll have to get the ball past Atlanta’s strong defense led by Leandro Gonzalez Pírez. Pírez has played and started in 28 games for Atlanta this season, accumulating two assists, and one goal. He’ll be joined by defenders Michael Parkhurst, Anton Walkes and Greg Garza, who has been looking healthy after missing two games due to a hamstring injury. Brad Guzan will look to add to his 23 total saves over 10 games by producing another quality goalkeeping performance. For the Union defense, the man to fear on the pitch is Josef Martinez. Martinez has knocked in 17 goals this season, eight of which have come in his last five games. The last time these teams met Martinez was unable to score, but his recent red-hot performances could mean he’s due against Philadelphia. With Miguel Almirón sidelined due to a hamstring injury he suffered on Sunday, Atlanta will look to rookie Julian Gressel to create more from the midfield position. After Almirón’s exit from the Montreal game, Gressel was able to shine. His beautiful cross to Jeff Larentowicz set the midfielder up to chest the ball into the back of the net for his first goal of the season. While Almirón is forced to remain on the sidelines until healthy, Gressel could emerge as a key player to the offense during his absence.